Just a handful of ingredients are all you need for this easy, Spanish-inspired appetizer. 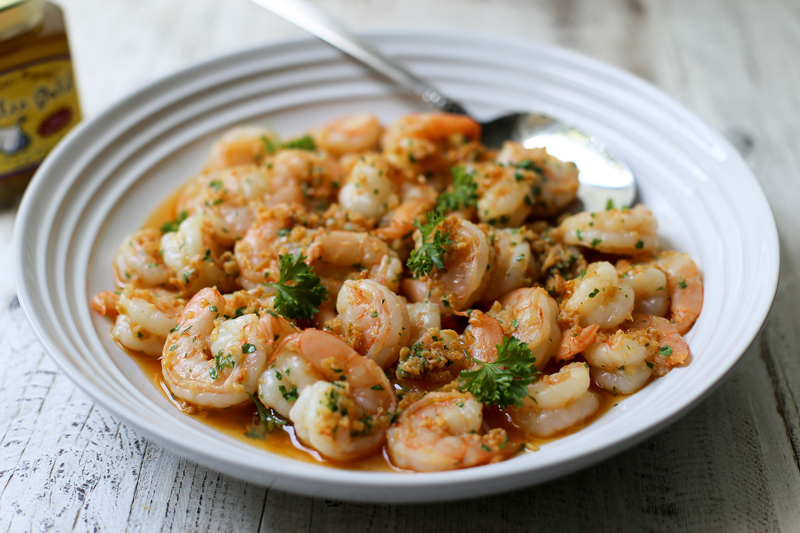 Traditional Gambas al Ajillo requires you to peel and chop lots and lots of garlic, but not when you use Garlic Gold®! A little jar of our original Nuggets in Oil makes this one of the fastest dishes to prepare this side of Barcelona. Best of all, you can serve it as an appetizer or a main dish! As an appetizer, serve the tender, garlicky shrimp straight out of the skillet, with slices of crusty bread to sop up all of their delicious sauce. For a main dish, toss them with cooked penne or linguine, perfect for a quick weeknight dinner. In a large (12-inch) skillet over medium-low heat, combine the Garlic Gold® Nuggets in Oil with the shrimp, salt, and paprika. Stir well to coat the shrimp with the oil, spreading them out in an even layer. Continue to stir the shrimp as they cook. When they are almost cooked through, add the lemon juice and parsley. Sauté just until the shrimp are cooked through, then transfer to a dish and serve immediately, with slices of crusty bread for dipping into the sauce. Shrimp Pasta Variation: Toss the cooked shrimp with a pound of cooked pasta. Serve hot.